The Paterson Lecture was a big moment in the conference. It came up around the middle of Day 2, with the meeting nicely on the rails and Christine Hallett’s CAHN Hannah keynote already having delivered plenty of special, deep and extended thinking to the joint conference table. The packed auditorium was expectant as CSHM President James Moran approached the podium. 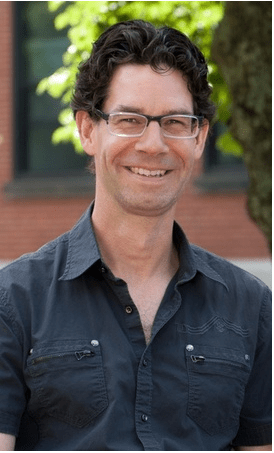 Moran is a professor at the University of Prince Edward Island, and an expert on the history of the asylum and the social history of madness in Canada, the US and England. Quite a concentration of expertise on the history of mental health in Canada on display at the joint society meeting — one I’d never really twigged to before now as a strong suit in Canuck HM. But it’s pretty undeniable, what with Marie-Claude Thifault’s team showing such range on the history of mental health institutions in francophone Canada, and Megan Davies’ group making a strong impression on the audience for her panel on the After the Asylum project that covers the de-institutionalization story across Canada, from many perspectives, and in collaboration with activist sufferers, practitioners and policy people. Let me digress one more time, briefly, to congratulate James Moran for completing his term as President of the society with such aplomb. You hear that phrase a lot, but probably most of us don’t know what “aplomb” means, and if you rely on half-baked French etymology to make a guess you might end up with something like “lead balloon”, which definitely wouldn’t be appropriate in this case. So here, courtesy of a hastily-consulted web dictionary of dubious provenance, is a definition: aplomb – self-confidence or assurance, especially when in a demanding situation. That sounds about right to me, though it doesn’t capture Moran’s ability to bring hints of colour and humour to the ceremonial duties and put everyone in a good mood. After enjoying his presidential style for three days and even being honoured by his presence at my own talk, I was finally able to meet Moran (James) for the first time, and to thank him, which I will do again now in print, for his service to the discipline and to the profession. Time-consuming volunteer society leadership like this doesn’t bring much glory, but it’s important. I attended the annual business meeting of the CSHM as an outsider, and can report that everyone seemed to be on the same page with the out-going president, all the financials were shown to be sound, all positions that had to be filled or renewed were taken care of to the satisfaction of members, and Moran leaves office on very good terms. I don’t know the backstory, but I point out that Professor Moran’s presidency coincided with the announcement of a new suite of funding from our long-time benefactor, AMS, for a variety of programs that will help to sustain our society and promote research on the history of medicine in Canada. It also coincided with the organizing of this great conference, which I’ll now get back to. The pleasant task of introducing Natalie Zemon Davis went to Gail Paech, the relatively new CEO of Associated Medical Services who was dressed in a lovely summery outfit to go along with her name (pronounced “peach”). It is thanks to the generosity of AMS that the CSHM has received a Paterson Lecture “gift” (as Jackie Duffin put it) for the past few decades. Paech, who has a distinguished record in healthcare that includes senior positions in business, the public sector and academia, took time to attend many of the conference sessions and events (having gotten her BScN at the University of Ottawa, she may have been enjoying a bit of a homecoming). Before introducing the speaker, she briefly told us how glad AMS is to be helping to bring the conference to life and keeping the Canadian Bulletin of Medical History going, and to say that the organization she leads was looking forward to a new era of collaboration with historians of medicine in Canada. The lecture by Davis was all that anyone who knew her work could have hoped for — and more, actually, since her new scholarship on the culture of colonial Suriname is still not widely known (she hopes to have a book out some time next year, tentatively titled “Braided Histories: Four Generations of a Slave Family in Colonial Suriname”). Hers was a spell-binding introduction to the unusually rich and complex medical pluralism of this European colonial slave plantation world on the north-eastern coast of South America. Unlike in the Caribbean islands, where indigenous populations were enslaved and worked to extinction by the first European colonizers, in Surinam the Arawaks, Caribs and Warao were able to resist fiercely enough to preserve a free place for themselves in the colony, providing in the process knowledge of local medicinal treasures and styles of healing that surprised the Europeans in their effectiveness. The English, and then the Dutch, brought people from many parts of Africa as slaves to work the plantation economy, and because they worked them to death whenever they could, and the plantation economy kept growing, they constantly replenished their labour supply with new slaves who brought with them the latest medical knowledge from around Western Africa. Gradually, dialects were created to name and talk about new things, including healing materials, ideas and practices. Among the many different ethnicities of Europeans who ruled the roost in Surinam were some learned medical thinkers. Prosperous slave societies were always good places for European doctors to make a living, since they could deliver practical care efficiently to these agglomerations of stressed bodies, and help planters make their investment in slave labour more profitable. In boom times, a good doctor could make enough money from planter contracts to buy into the slave plantation himself, and many did. Specialists in European medicine and keen observers of indigenous and Afro-Surinamese healing practices, which they incorporated into the repertoire of plantation medicine for pragmatic reasons, they accumulated knowledge about these novel methods and compared them to the European schools of medicine. A number of notable books were published that documented the way that distinct medical traditions were gradually inter-mingling and forming healing hybrids of such peculiar complexity that a new form of medicine altogether was emerging in Surinam. We learned about all this effortlessly because our teacher was one of the world’s best and most experienced historians. Professor Davis’ talk was beautifully written, her evidence and historical characters were presented with such clean lines, and her riveting images of herbals, healing ceremonies, star healers and intriguing frontispieces appeared sparingly and to exquisite effect on the screen above her. As a Latin Americanist I am already familiar with the basic idea of such medical pluralism, and I’m sort of aware of how the plantation went down in the Caribbean colonies. And I have to confess that, while I thoroughly enjoyed the talk, I left it thinking that it had been wonderfully presented but not as new as I’d hoped. Then, as the hours and the days went by, I found moments and images and narratives from the talk — Natalie’s ideas — returning to my thoughts, and ideas of my own (?) started popping in my head. “Of course, so that’s why planters tolerated charismatic slave leaders ….” “Incredible that Linnaeus was deriving his taxonomy from …” “Did she really say that that healer who treated the King of Holland was still a slave at the time … [she didn’t]?” And on and on they kept coming to me. And the thing is this, I realized like a fool: Natalie Zemon Davis is an artist — maybe the greatest artist historian of our time. Her talk was presented without any historiographical or theoretical fireworks announcing her own greatness, her own ability to transcend the latest debates, her own charting of new territory, her own breadth and depth of vision. Davis’ genius, her imagination, her outrageous erudition and linguistic skills, her impeccable scholarship, are at the service of the history itself — the original and true stories of the past, the whole stories — and at our service. I only wish I could go back and hear that talk again. 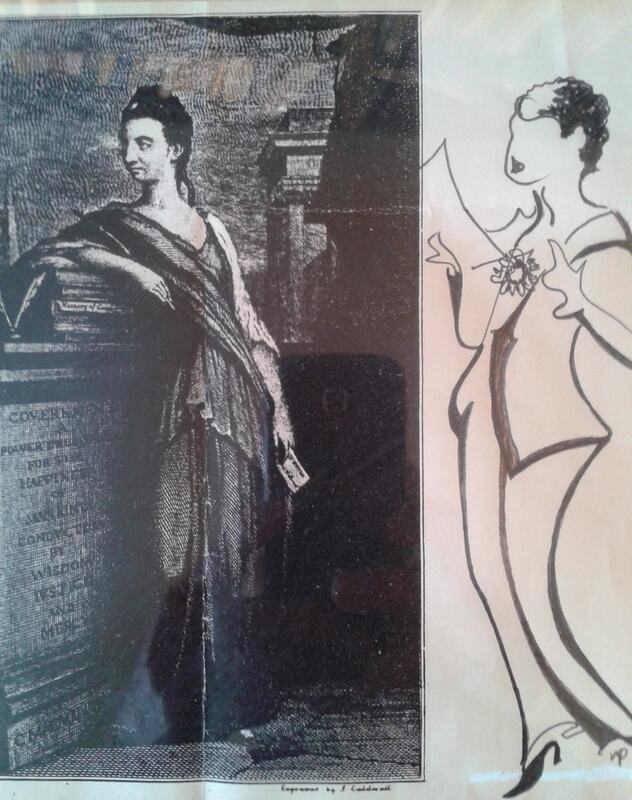 Portrait of NZD the last time she gave a lecture at Université d’Ottawa in 1979, done by a Jesuit historian in the audience on the photocopy portrait of Catherine Sawbridge Macaulay as Clio, handed out to accompany the talk on “Gender and Genre: Women as Historical Writers, 1400-1800”. Two more memorable moments from her lecture. Davis was showing us how Linnaeus paid tribute to Quassie, a master healer who had been born into slavery in Surinam (and who is definitely a candidate for world‘s greatest healer), in the way he inscribed an indigenous plant species, whose curing powers had been made famous by Quassie, into the modern European botanical taxonomy as Quassia amara. She paused to help us register how extraordinary this is, and said, off book, with a brief smile, half to herself, “You see what Linnaeus is doing here…?” And we did, sort of, but you just wanted to be inside Natalie’s head in that moment to really know what Linnaeus was doing, what all the implications of that are for a new understanding of indigenous and Afro-Caribbean agency in the making of European science. The Paterson Lecture was the crowning moment of a wonderful conference, as it’s supposed to be. I was lucky to be at both.